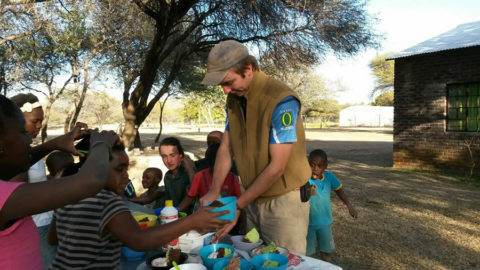 The owners of Umndeni Game Lodge are supporters of the Fold, which is a Private Hostel for vulnerable and orphaned children. It was started in 2009 by Paul & Mickey Prince. They have built three family houses, with each house accommodating 6 to 8 children and looked after by a house mother. A school was recently opened at The Fold with a nursery and primary section. Already the children are doing so much better with the kind attention from the 2 well trained and experienced teachers, who also live there. The Fold is a place of love and understanding with every effort being made to give this lively and happy group of children an opportunity for the future. You are very welcome to visit The Fold during your stay at Umndeni Game Lodge.